- Construction: Unibody heavy gauge epoxy painted steel construction. Stainless steel command center keypad. - Requirements: 230 volts AC + 10%, < 6 amps. All at 50 or 60 Hz. Advanced Single View checkpoint screening system with outstanding features and innovative Options. 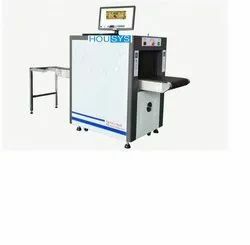 Turnkey X-ray Baggage Inspection Systems to customers for use at Airports, Government Buildings, Customs, Banks, Court Houses, Hospitals, Prisons and many other locations. These Dual Energy scanners allow identification of weapons, explosives (including plastic explosives), drugs, fuses and dangerous objects construed as safety hazards across the world. 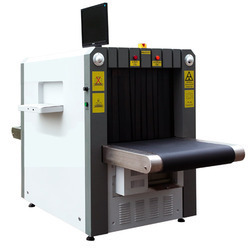 our company can avail from us in excellent quality of Domestic Baggage Scanner. That are made according to the client requirement. These scanners are used in various place like railway, metro station, industries offices etc. Display: High resolution 17* LCD display.